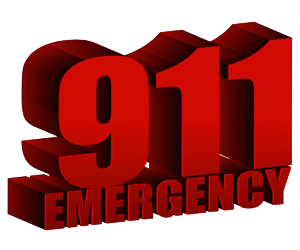 911 is essential in getting emergency care to you as soon as possible. It is not intended for complaining about your take out delivery being incorrect nor is it intended to call to get general information. Parents, I have told people for years to have a short paragraph posted at your phone so when you call 911 you will have all of the necessary information. Regardless of how well your composure is we are human beings. Knowing the right thing to do can save lives. Below is an example for you to review and then just make the changes that apply to you. My name is Robert Fiore, I am calling from 77 Cassandra Avenue, just off of Joy Lane. The closest major intersecting street is West Main Street. I.C.E. numbers were briefly mentioned on our FAQ page however we would like to expound upon that. As you know I.C.E. stands for In Case of Emergency. We recommend that a person's cell phone have I.C.E. numbers in it along with a sheet of I.C.E. numbers in the home that will be visible if 911 has to be called. I use a MEDIC*ALERT bracelet and I.C.E. numbers are in my cell phone. I also have sheet of I.C.E. numbers placed on the first table in the hallway and another is mounted on our refrigerator door. So many of us are extremely organized and are usually as cool as a cucumber but you never know how you will react in a true emergency. I have reposted below the Q & A regarding what do you do when a person has a seizure. I.C.E. numbers were briefly mentioned on our FAQ page however we would like to expound upon that. As you know I.C.E. stands for In Case of Emergency. We recommend that a person's cell phone have I.C.E. numbers in it along with a sheet of I.C.E. numbers n the home that will be visible if 911 has to be called. Q: What do you do when a person has a seizure? Before we give you our point of view regarding "What do you do when a person has a seizure", please understand this. The calling of 911 immediately "sometimes" is not necessary and "sometimes" is paramount. If you know the person well enough and how their seizures are that is one thing but if you truly want to play it safe call 911 immediately but by following the basic layout first that will help everyone. A: Clear the area and try to lay the person down. If you have a pillow put their head on it. Look for a MEDIC*ALERT Bracelet or anything similar to it as well as I.C.E. Numbers. Keep track of the time from when the seizure started and when you get to the three minute mark be ready to call 911. If you have to call 911 when the EMT 's arrive please inform them of everything that happened. Never put anything in a persons mouth that is the biggest myth.